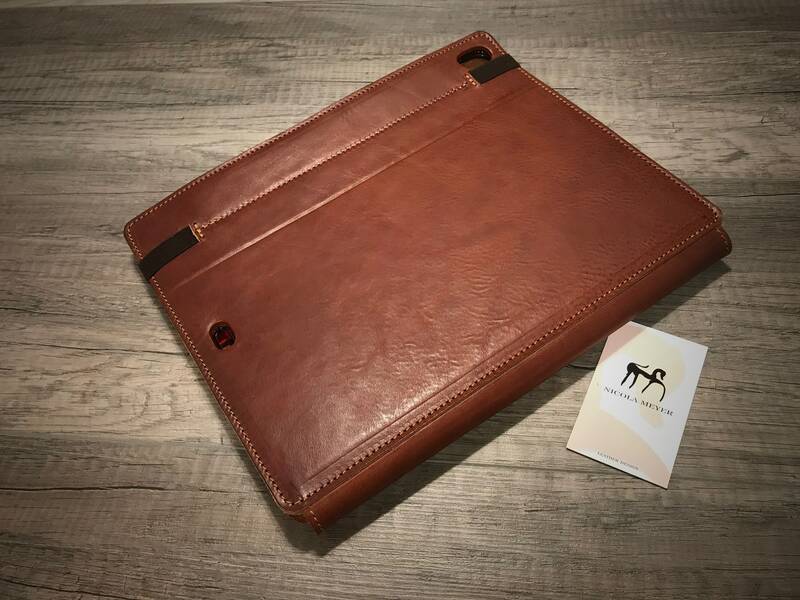 NEW iPad PRO 12.9" leather case back made by genuine vegetable Italian leather. 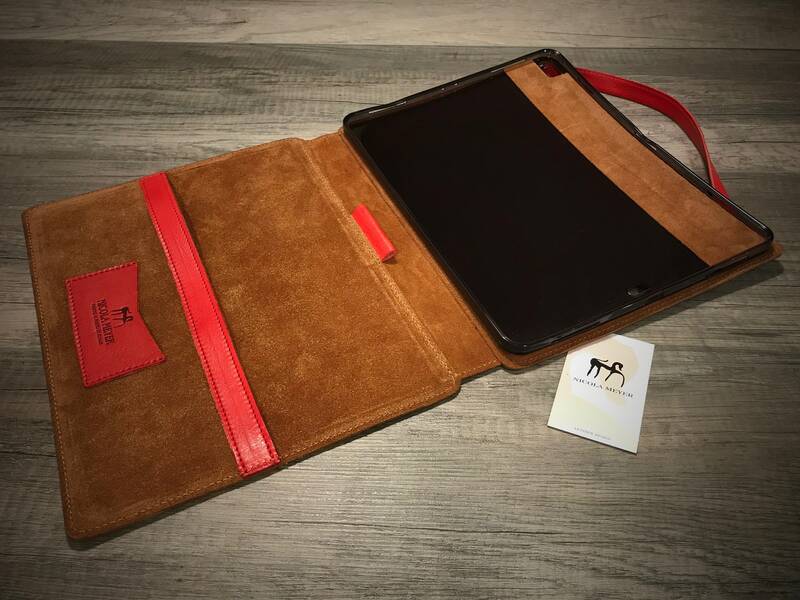 iPad Leather Case handmade in Tuscany. 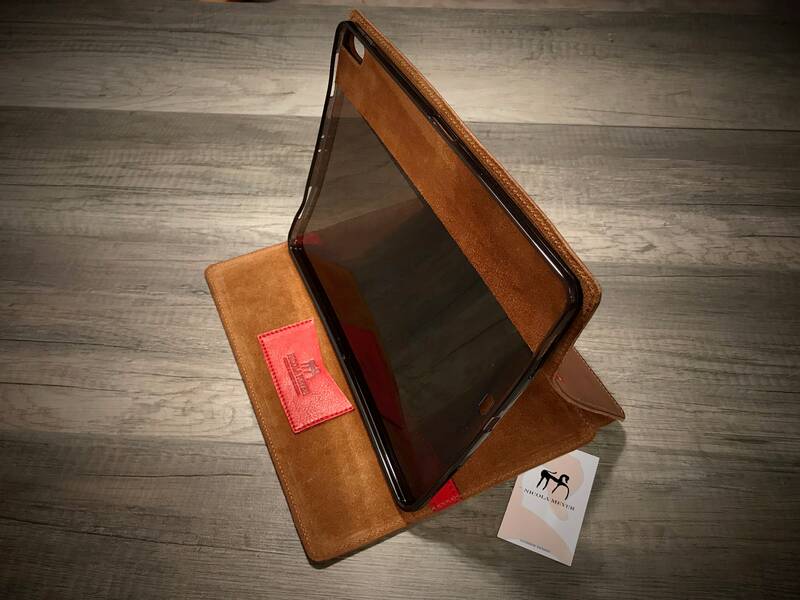 For iPad PRO 12.9" made by vegetable tanned Washed aged leather. Inside a soft TPU case to permit an easy and fast access and to remove the device easily. FREE DUTY & TAX to USA United States and Australian Citizens. 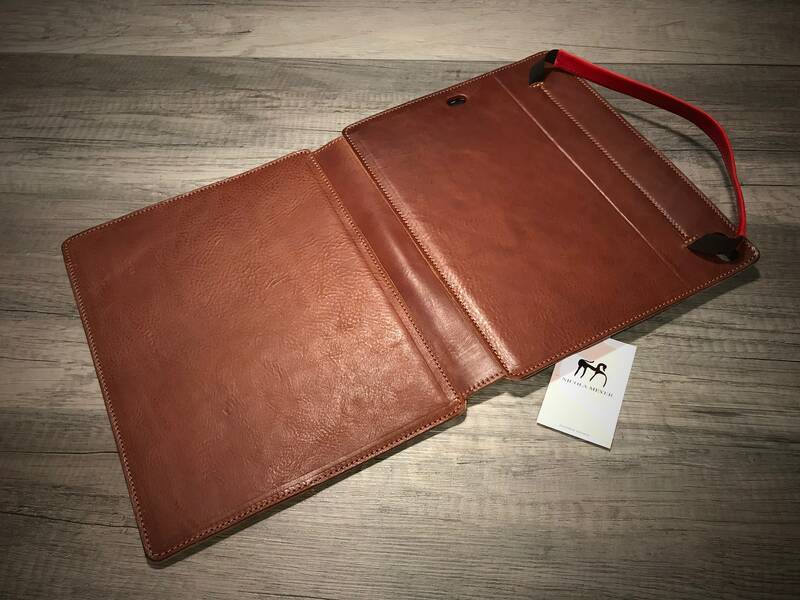 This iPad leather case is entirely constructed by hand in Italy for Your BELOVED APPLE DEVICE. Traditional methods of aging and polishing brushes and waxes. Each piece is unique and different from another of the same model. "NOT ALL THE LEATHERs ARE EQUAL" this is NOT a Racist Statement, you only have to smell and you will understand what I mean. On request it is possible personalize the article with the engraving by hand of Your initials or name. 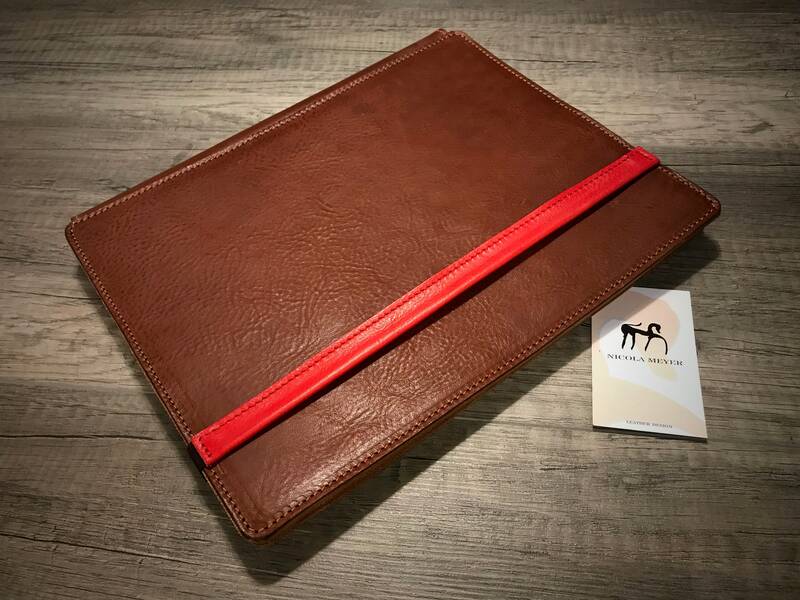 Attention: the leather color may be slightly different from that seen in the photos due to the change in the pH value of each skin that I use and by the fact that they are hand-dyed. 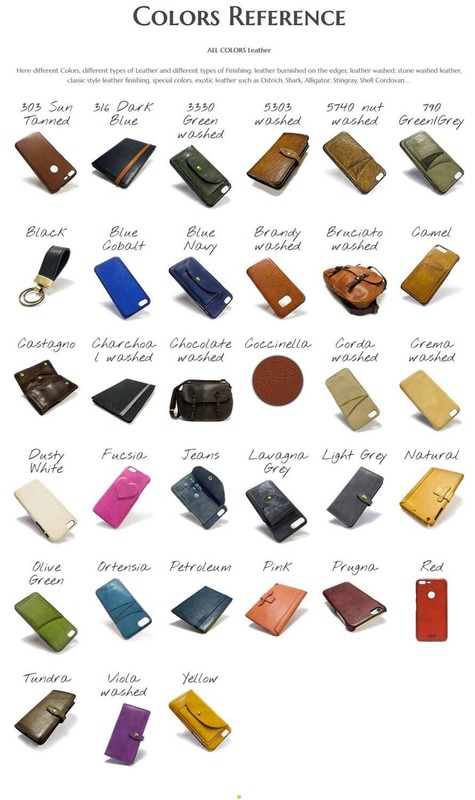 Excellent quality, real leather. It fits perfectly. Quite sturdy, I think it can protect my Ipad Pro against bending in my bag crammed with things. For that however, a bit on the heavy side. I'm a little worried if the tpu that is attached to the leather cover, will stay there in the long term. Time will tell, I guess.